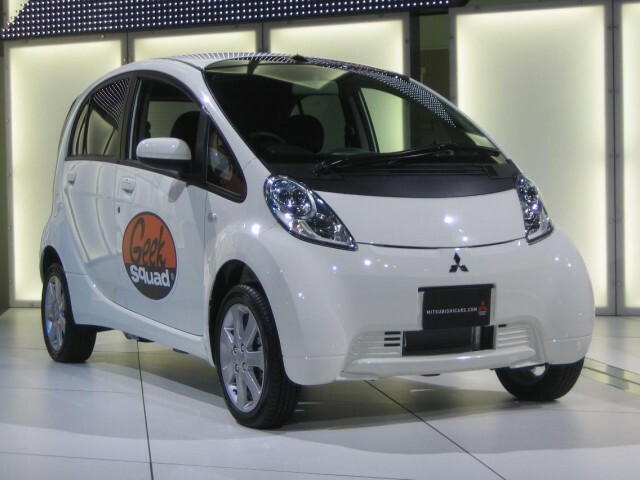 The Mitsubishi i-MiEV electric car deserves a place in history. It was arguably the first mass-produced modern electric car put on sale, well before the Nissan Leaf arrived in December 2010. Pre-production i-MiEVs were operating in test fleets in Japan as early as 2007, and it was on sale in that country even as Tesla struggled to get its Roadster into production in late 2009. This pioneering electric car was adapted from the clever design for the Mitsubishi "i" kei car, designed for Japan's special class of minicar limited in length, width, height, and power. The gasoline version had its three-cylinder engine located flat under the rear seat, driving the rear wheels, giving a longer cabin within the short length. The i-MiEV swapped a 16-kilowatt-hour lithium-ion battery pack and an electric motor into the same space. With such an early start, the Japanese maker put its electric car on sale in the U.S. just a year after the Leaf, starting with the 2012 model year. While the company had high hopes, the car's tiny size—it remains the only kei car adapted for the U.S. market in recent decades—and its low power and 62-mile range rating made it just too limited for U.S. use. Over seven years (and five model years, with 2013 and 2015 skipped altogether), Mitsubishi sold only 2,108 of the little electric cars in the U.S. through last month. Half of those were sold in 2013, and another quarter in 2012. While there was officially a 2017 model year for the i-MiEV, sales fell to 15 units in July 2016 and haven't even hit double digits since then. 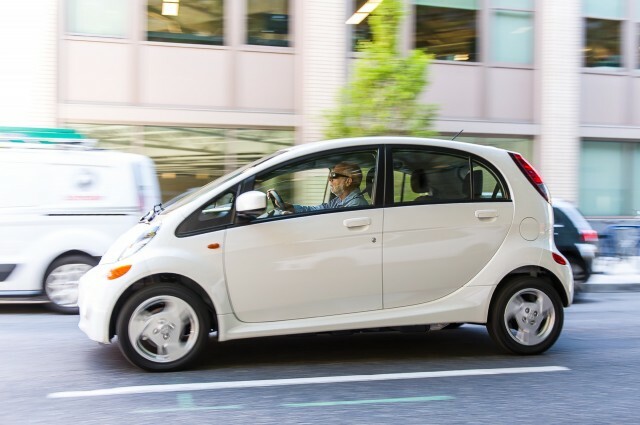 Now Erica Rasch at Mitsubishi Motors North America has confirmed the little car's demise: "2017 was the last model year for the i-MiEV, and all available retail units have been sold." 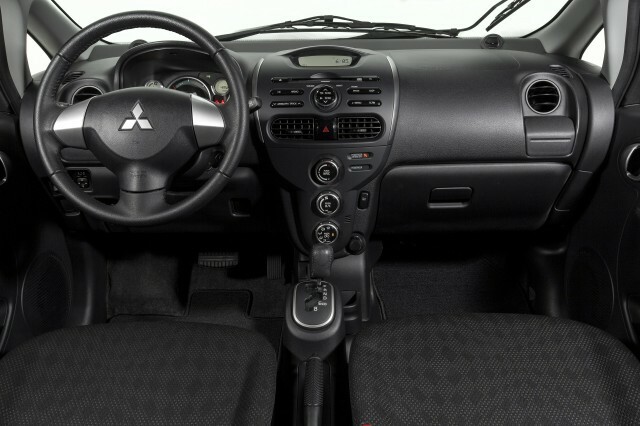 ... the Renault Nissan Alliance acquired a controlling stake in Mitsubishi's auto operations. Combined, the three makers now make up to the largest carmaker in the world, with sales for the first six months of this year that exceed those of Toyota and of Volkswagen Group. With Renault and Nissan likely to share underpinnings for future generations of their Renault Zoe and Nissan Leaf electric cars, the company may employ Mitsubishi's expertise in plug-in hybrid powertrains to fill a noticeable gap in its lineup. It's even arguable that given the i-MiEV's 10-year life and historic position—it was also sold as the Citroen C-Zero and Peugeot iOn—the combined carmaker might engineer a slightly larger successor. 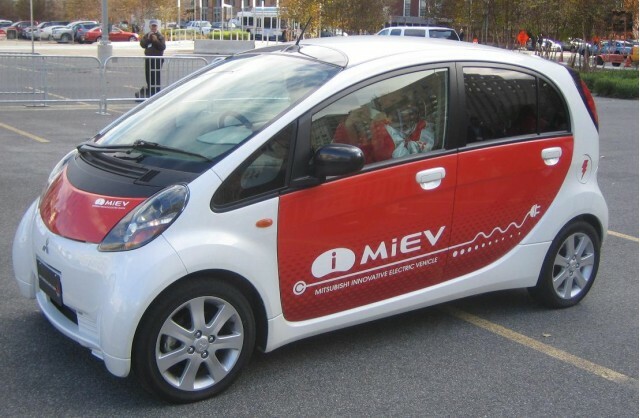 Regardless of its future, we have to tip our hat to the cheerful little i-MiEV as it exits the stage. Sometimes, a little too little and a little too early doesn't quite work. But it had a good run, and its role as a global electric-car pioneer seems secure. August 5, 2017 The automaker announced will discontinue the electric vehicle due to slow sales. ... Car Reports, the i-MiEV was technically the first mass-market electric car.